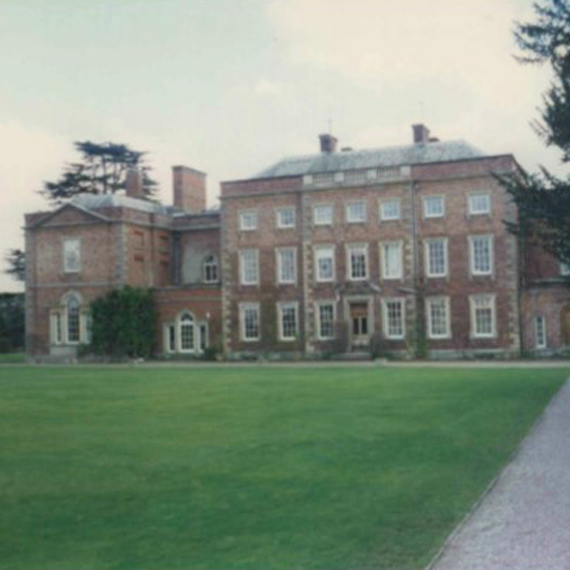 In 1933, the entrance gates to this Grade I Listed Herefordshire country house had been removed and stored and had subsequently deteriorated. 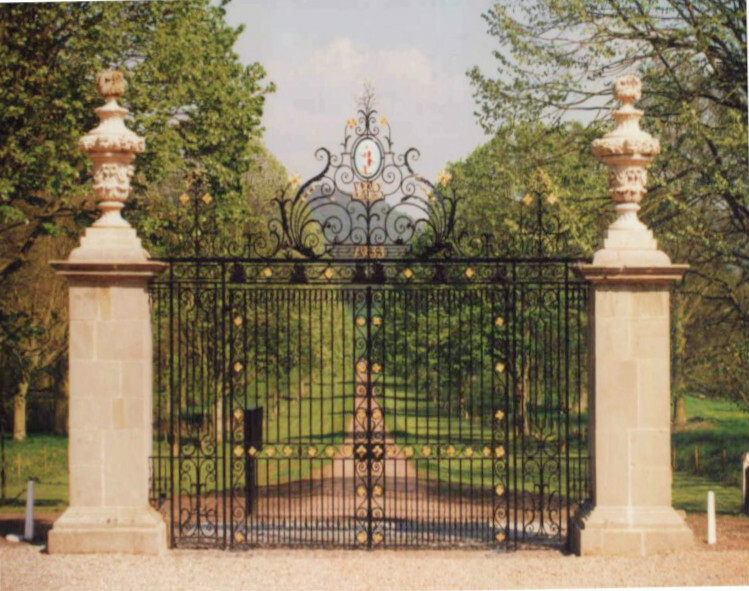 As part of the project to convert this county house to a company headquarters for Rehau Limited, the entrance gates were restored, with missing sections of ironwork replaced, stone piers and urns repaired and cleaned and the original scheme of gilding recreated. 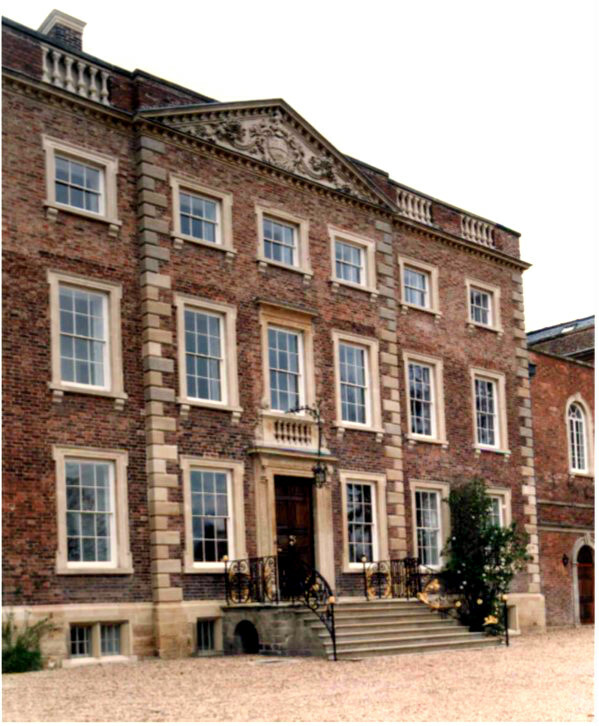 A motorised opening system was discreetly incorporated with provision made for the first time for access by high vehicles and fire engines. 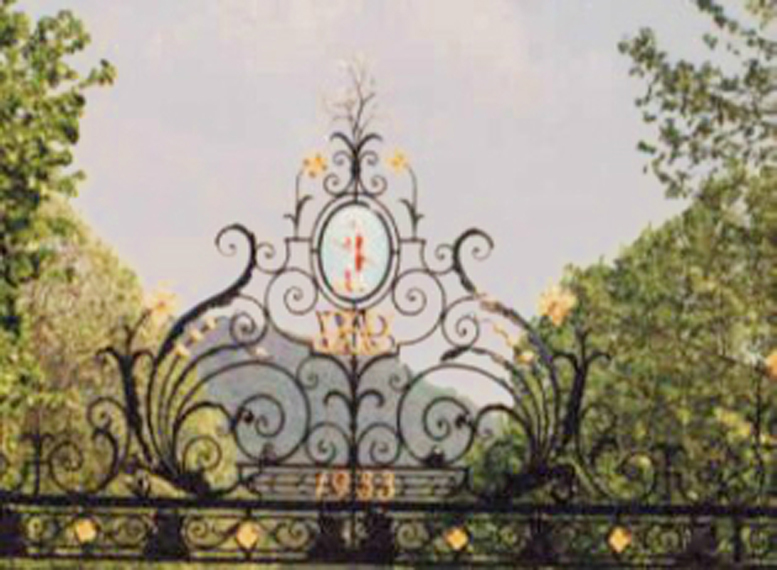 The lime avenue leading to the gates has been thinned and replanted and new driveway lights inserted into the ground, throwing soft light up into the trees. 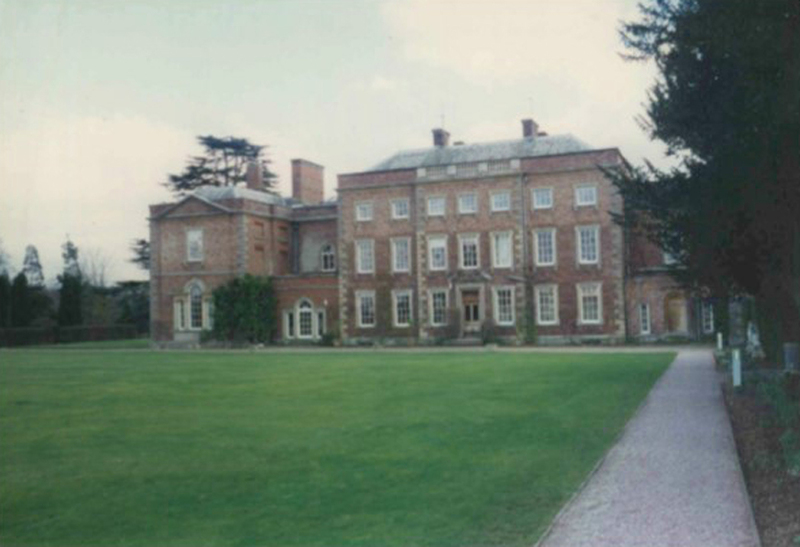 Grade I Listed country house built c1700 with flanking wings added c1750. 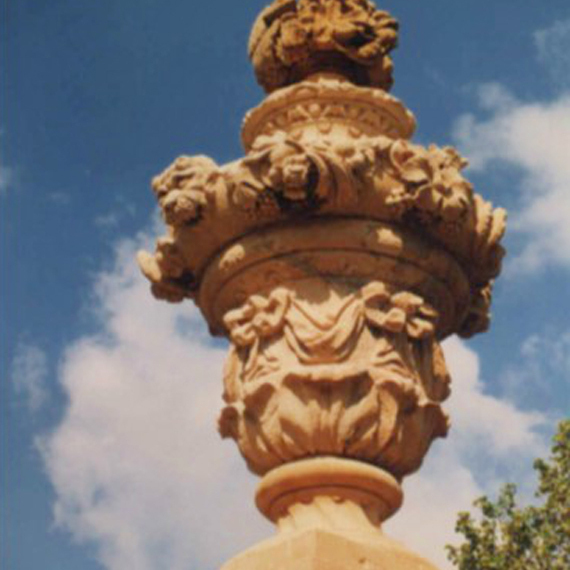 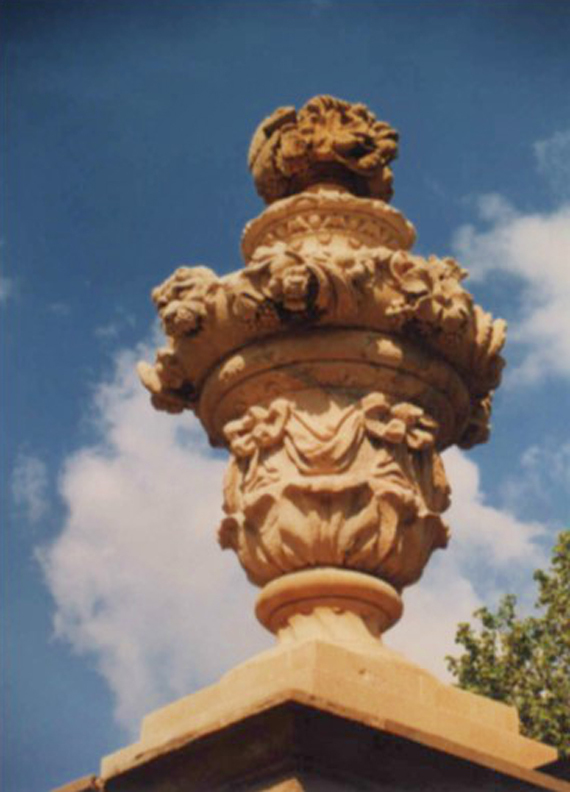 An extensive programme of repair to the external fabric was carried out under the direction of Hook Mason. 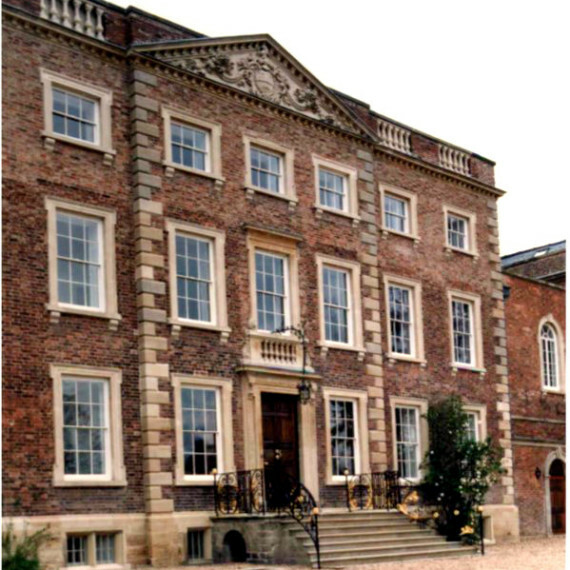 The works included the overhaul of all roofs, with new leadwork throughout and repair of chimneys and glazed lanterns, repair, replacement and cleaning of stone dressings including the invisible repair of fractured stone lintels and the overhaul of all sash windows including the careful removal of surplus putty and reglazing damaged panes with hand blown glass. 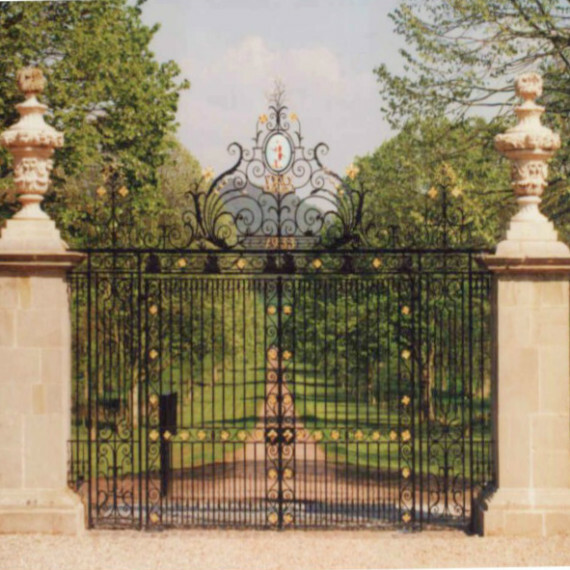 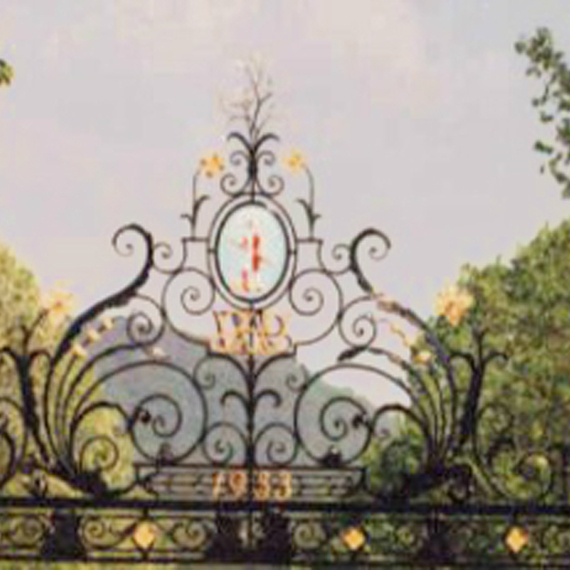 The ornate entrance gates have been repaired and adjusted to allow fire engine access. 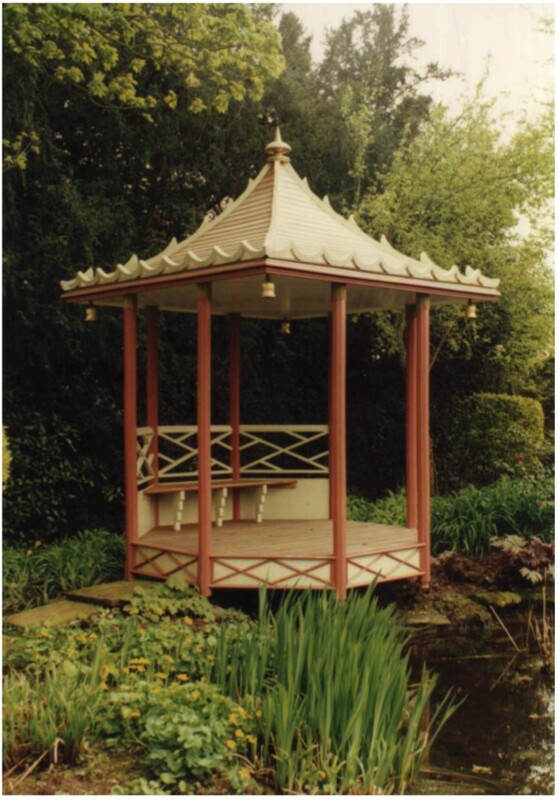 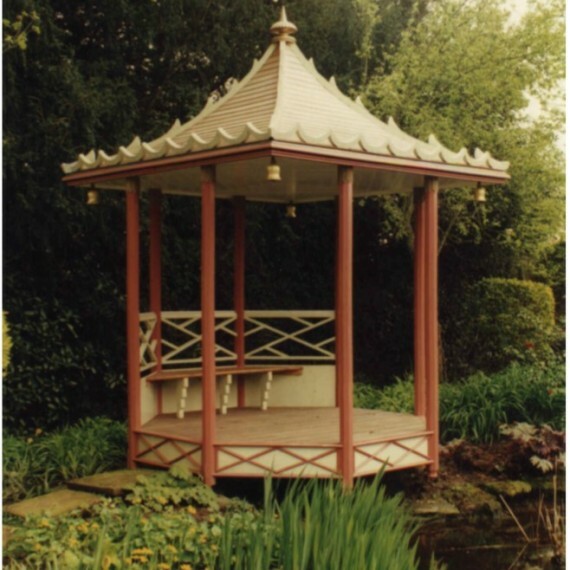 Tucked away in a corner of the garden is a pretty Chinese pavilion, now restored by Hook Mason as part of this project. 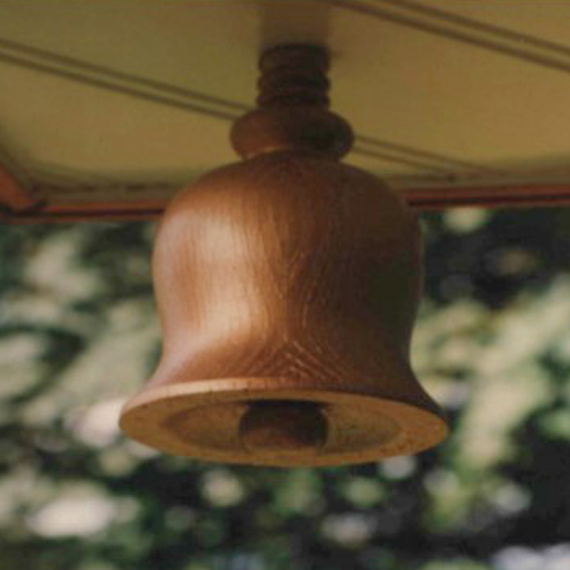 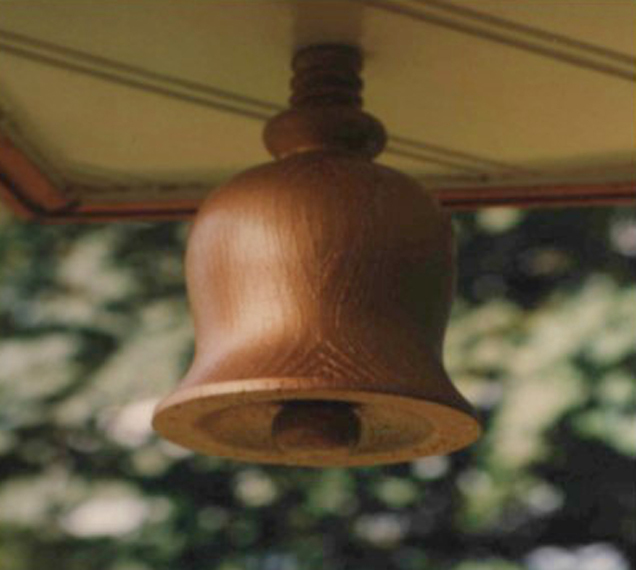 The wooden structure had been neglected and was badly decayed, but has now been fully restored with missing details reinstated, including the distinctive bell pendants. 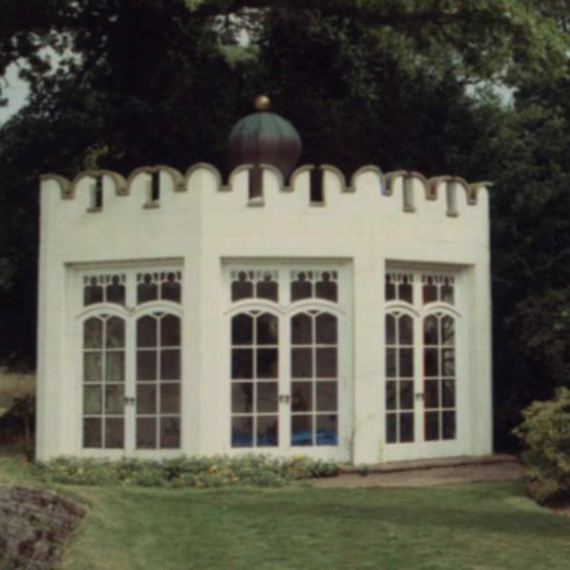 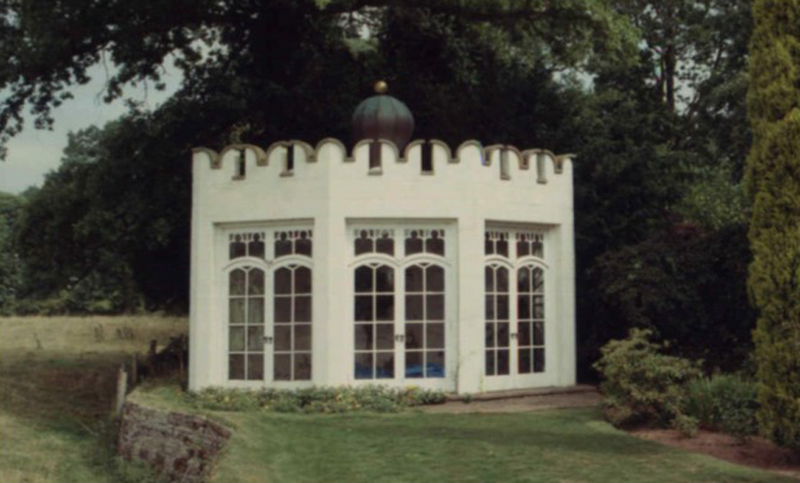 Hook Mason have also restored the summer house, dovecote and a gazebo on the estate. 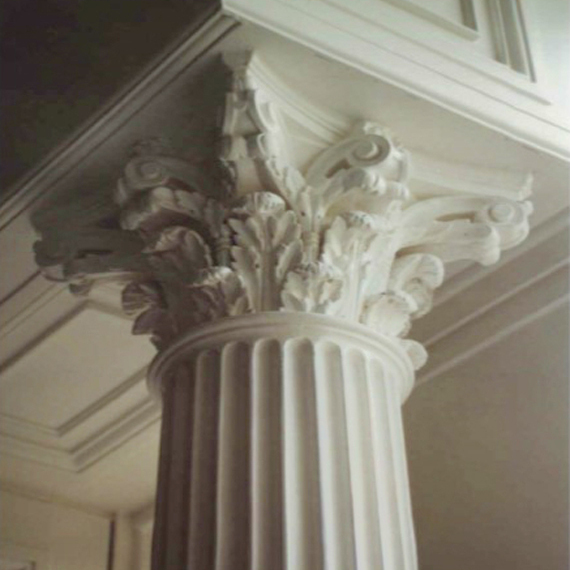 The interiors contain very fine classical detailing from the 17th and 18th century. 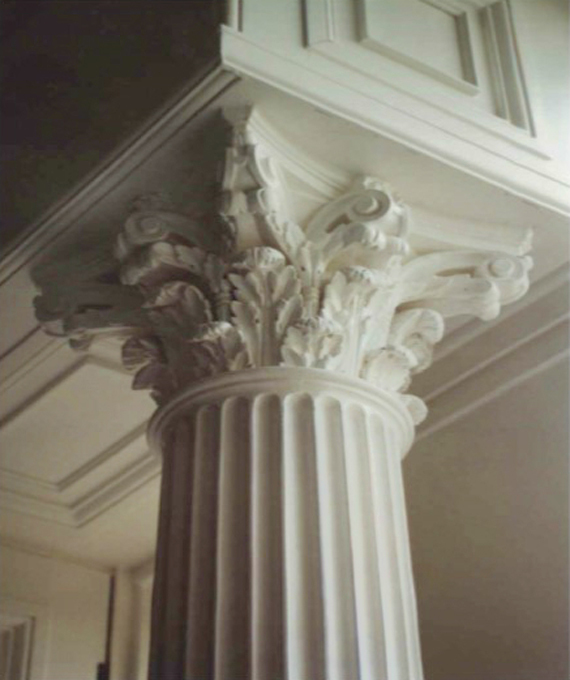 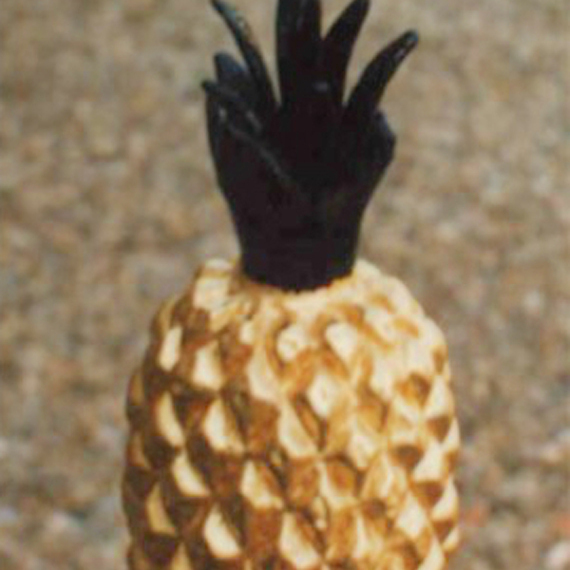 Using only traditional materials and repair techniques, the interiors were expertly repaired with sensitivity by skilled craftsmen to the highest standards.